A rare, private retreat offered in the highly desirable equestrian community of whitelock farms, this 11. 5+ acre property is more like a sanctuary than simply a homestead. Superior construction includes icf construction, icynene insulation, expert millwork, copper plumbing & much more. Overlooks approx. 8 acre spring-fed lake, great for fishing and kayaking. Barn bros barn houses 4 stalls, feed and tackle rooms, wash bay, & pastures. Top-of-the-line finishes, chef's kitchen, reclaimed wood floors, granite counter-tops, niles home control system, anderson windows, hidden safe room, & generator. Extensive outdoor living with summer kitchen, heated pool & spa, fire-pit, & tennis court. Amenities include a jumping arena and trails. Largest shopping center in ne fl being constructed at 95. Welcome to whitelock farms. 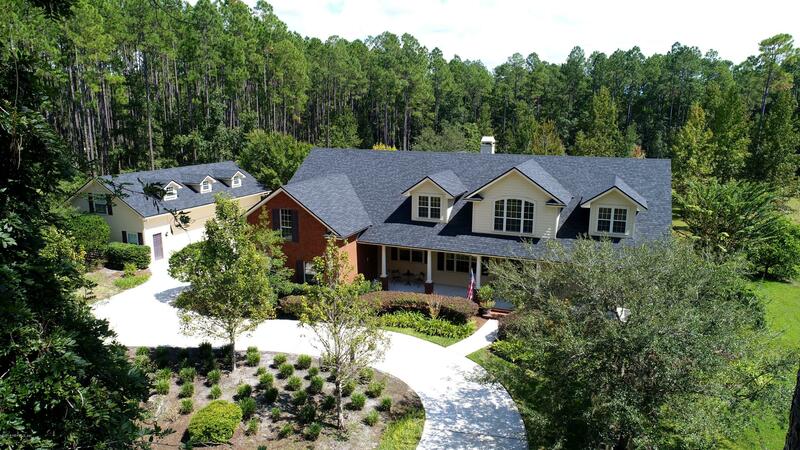 Beautiful, one-of-a-kind, equestrian community of sjc~this custom built, 1-owner, meticulously maintained estate home, w/ detached 4 car gar. , w/ add. 772 sq. Ft. H/c above, (7 garage bays total), sits on a prime (high&dry) 5. 4 acre lot~whether you have horses & desire the perfect property to make your equestrian dreams come true, or long to enjoy the serenity of country living, with convenience to the city, beaches, and all the area has to offer, this is it! 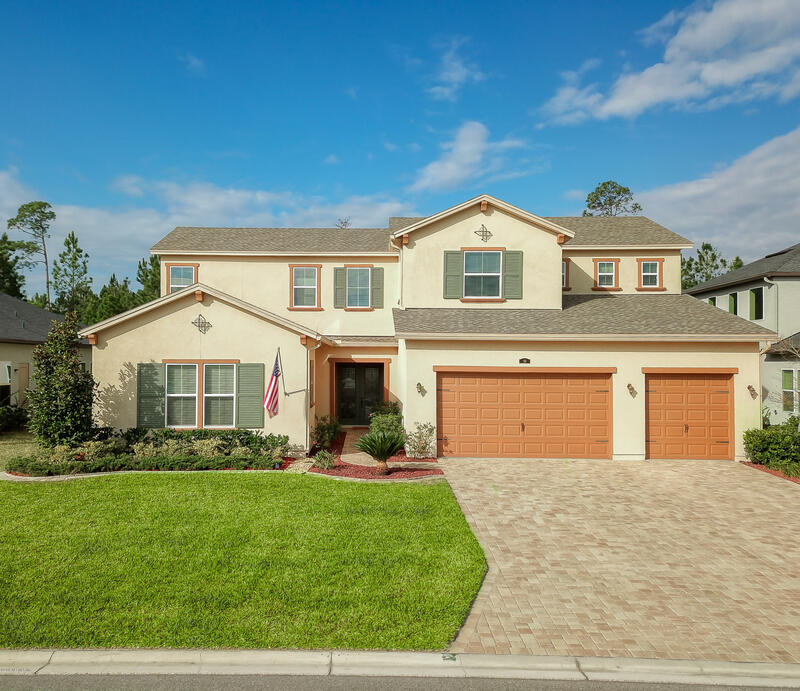 Gated entry leads to this well appointed gem~custom crafted wood moldings, trey & vaulted ceilings, honey maple wood floors~relax in the living areas o'looking large screened/ tiled lanai, refreshing salt water pool & expansive views of all the beauty nature has to offer. Don't miss this gorgeous standard pacific home-located in the estate section of the gated celestina community. Spacious 4/3. 5 includes huge bonus room, loft & office. Enjoy all the benefits of a new home w/ designer finishes on a large pool sized private preserve yard. Grand 2-story foyer welcomes guests & sets the tone for the home's ambiance. Custom fixtures, popular ceramic wood tile floors, smooth finish walls, volume ceilings, crown molding, coffered ceilings & smart home features. Gourmet kitchen offers 42'' raised panel designer cabinets w/ soft close, under cab lighting & quartz. Ss farmhouse sink, gas range w/ decorative hood, walk-in pantry & large island. Private owner's suite w/ his & her custom closets & huge walk-in seamless shower. Spacious 3 car garage w/ service door. 100% energy star certified providence home! 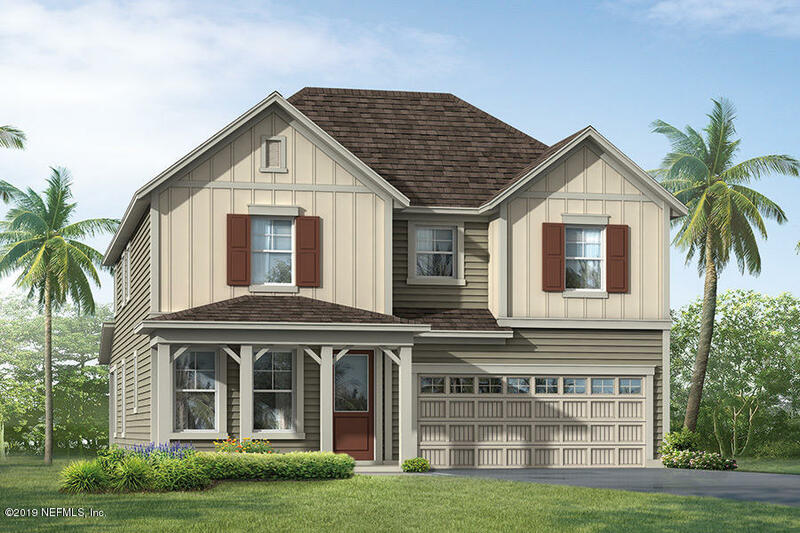 The collier offers 3318 sqft of living space with 4 bedrooms, 3 baths, formal dining room, study, kitchen/cafe, family room, 2 car garage and covered patio. Executive chef kitchen, tile flooring throughout except for carpet in bedrooms, walking distance to amenity center. 6''x 36'' wood look tile, white cabinets with 18'' uppers and deco hood over 36'' gas cooktop, farmhouse sink, easy access to laundry room through pocket door in owners closet. Laundry also features white cabinets and sink. Lakeview homesite. Move in ready! 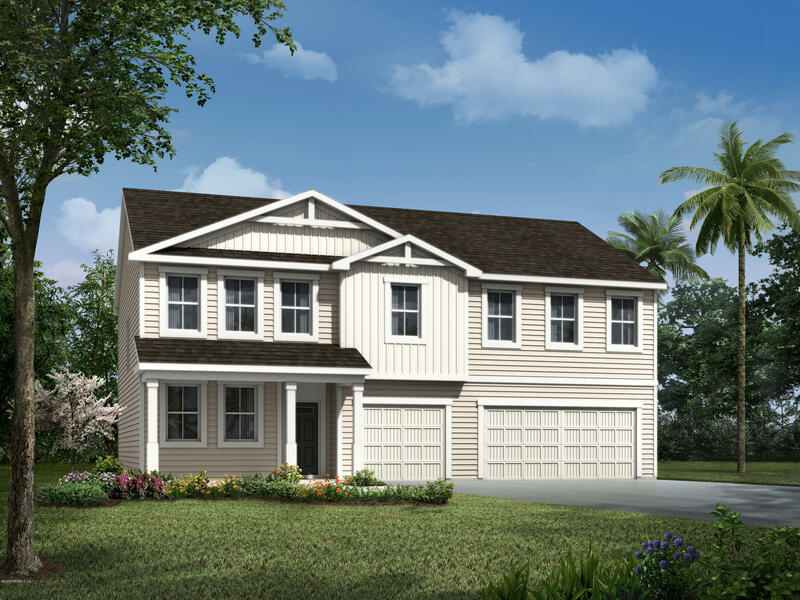 ** Move in fall 2019 ** come see our captiva farmhouse home design, situated on a beautiful preserve home-site. 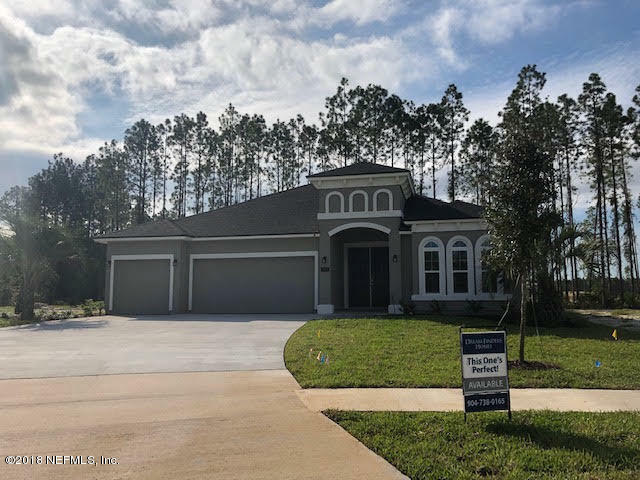 Some of the exceptional features include an expanded master bedroom, expanded master bathroom, expanded covered lanai, quartz countertops, wood plank tile, and barn doors at the study. You will marvel at the fresh, coastal, modern architectural designs as well as the beautifully laid out gated community. Amenities include a gated entry, resident's clubhouse, fitness center with yoga room and garden, canoe-kayak-paddle board launch next to an open air pavilion with wood burning fireplace, pool with designated lap swimming lanes and splash zone, tennis, basketball courts, multi-purpose field, playground with tumbling hill, and many parks. Ready now! **actual photos** on this cul-de-sac home site. The avalon ''c'' elevation with beautifully appointed features includes 4 spacious bedrooms, 3 baths, and a 3 car garage! This elegant layout begins with double door entry to the spacious foyer that leads to a huge family room with tray ceiling that flows seamlessly into the open gourmet kitchen with stainless steel 36'' gas cooktop and microwave/oven wall units and stainless fridge. The family room is equipped with a 9' x 8' hidden sliding glass door opening to the covered lanai and beautiful homesite, perfect for grilling and entertaining. The gourmet kitchen boasts a large california island, 42'' level iv cabinets, quartz countertops and undermount farmhouse sink. The chatam farmhouse floorplan boasts a covered front porch entry, a study in lieu of a flex room, a bath oasis in the master bath which features a separate garden tub and shower, a tray ceiling in the master bedroom, 6 x 24 light charcoal colored, wood-like floor tile throughout the main living areas, stainless steel appliances in the kitchen with upgraded quartz countertops and kinsdale cherry slate cabinetry. This home is prewired for a security system and includes all window blinds. 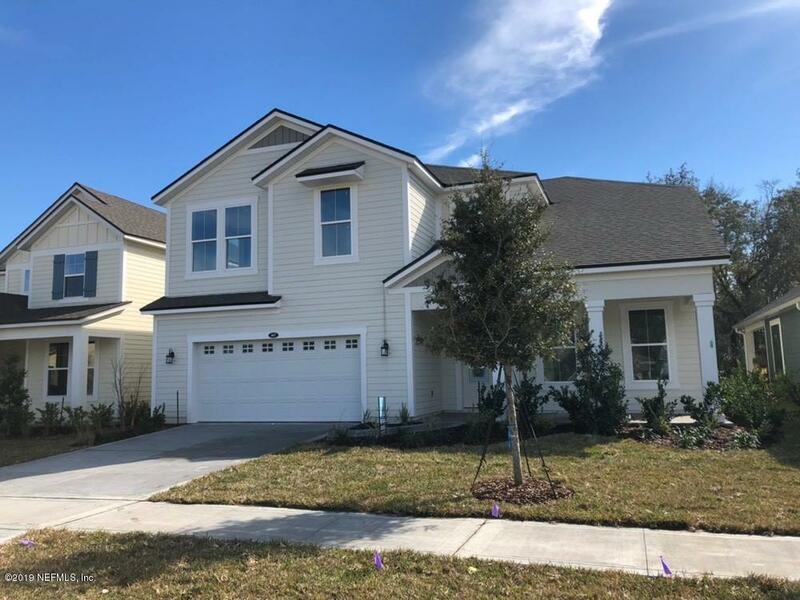 Located in the northlake subcommunity of our master-planned community rivertown, your new home sits on a 60' wide lot with front yard water views and is close to a community playground and park with plenty of walk paths to meander. On top of that, you have access to all resort-style amenities in rivertown! 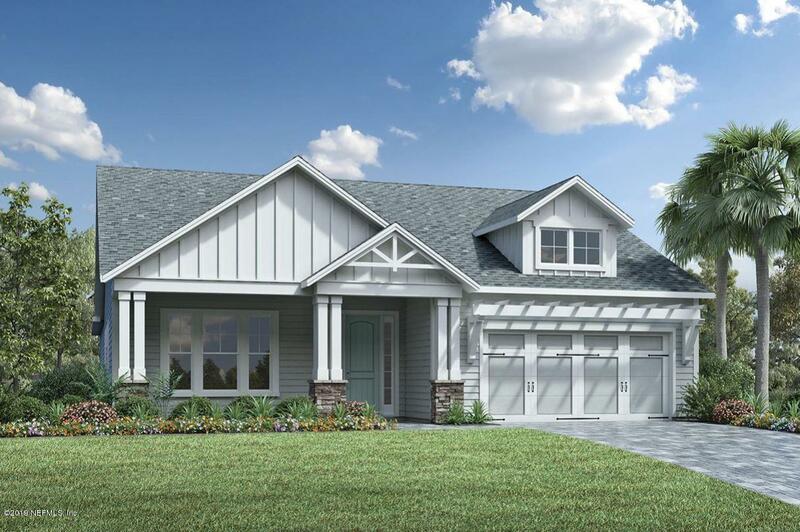 This vireo floorplan home, featuring a farmhouse exterior elevation, provides an abundance of space for everyone with its private office, additional loft and bonus room! The storage of this home is every homeowner's dream with a 3 car tandem garage for additional space. 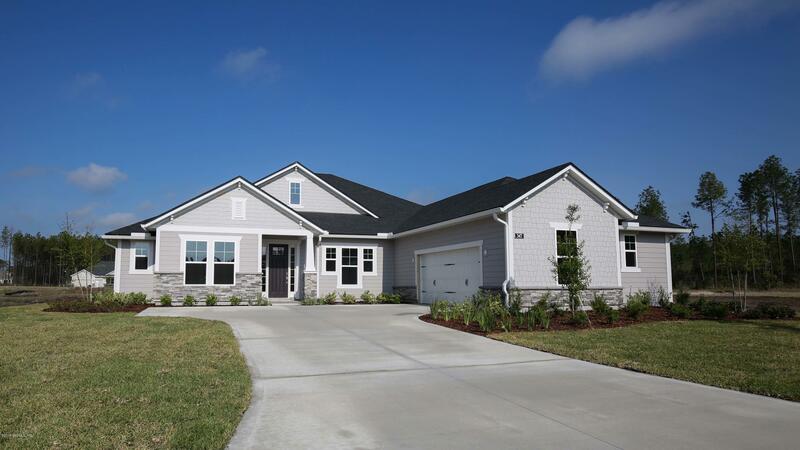 This home is located on a large preserve homesite, located in our homestead subcommunity of our master planned community rivertown. 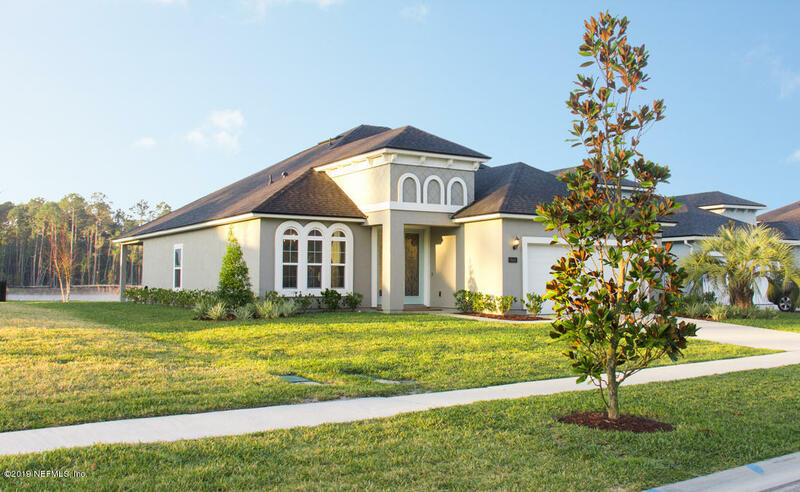 Still located on a quiet street, this subcommunity is directly across from our newest opened amenity, the riverclub, which includes an infinity pool overlooking the st. Johns river, giving you the ultimate ''fresh water living'' lifestyle with the abundance of activities this community has to offer! Come and tour this home today! Estimated april 2019 completion. As of today, 4/21/2019 the average home price for homes for sale in Saint Johns is $488,135.